Looking for the perfect Toyota for your lifestyle? Look no further than all of the specials on new Toyota cars from Toyota of Newnan! We’re sure you’ll find something that looks perfect for you and once you do stop into 2 Herring Rd in Newnan, GA to take a new or pre-owned Toyota near Atlanta for a test drive! We also give you the option to schedule a test drive right here online. 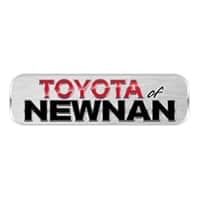 If you have any questions contact Toyota of Newnan today!